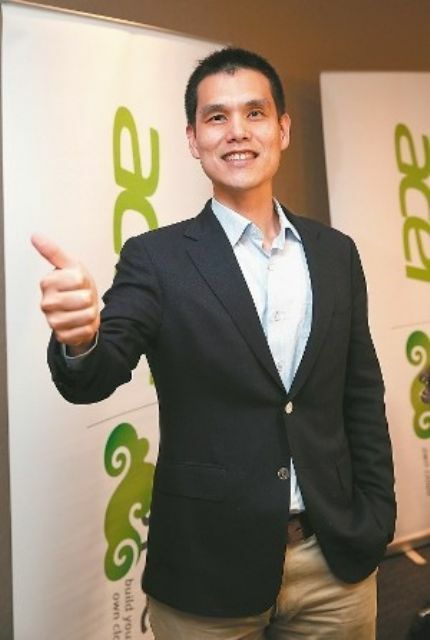 Maverick Shih, president of the BYOC (Build Your Own Cloud) Business Group at Acer, a major personal computer (PC) vendor headquartered in Taiwan, recently announced a tie-up with three international partners to jointly develop Internet of Things (IoT) business opportunities. Continuing the expansion of the Acer BYOC ecosystem, the PC vendor's new partners include: Marvell, a leading fabless semiconductor company of the U.S.; Hipad, one of China's top smart mobile device ODM makers; and Canonical of the U.K., a system maker who announced to join the ecosystem last month. In addition to different types of its latest PC and consumer electronic items, Acer showcased many solutions and innovations with partners in its BYOC ecosystem at the Computex Taipei 2015, Asia's highly promoted information and communication technology (ICT) annual event held early June. Among others, Marvell and Hipad teamed up with Acer to demonstrate how BYOC solutions embedded in Marvell's chipsets is used to empower Hipad's smarthome devices. In addition, Canonical demonstrated its Snappy Ubuntu Core with Acer's aBeing One smart center and open platform at this year's Computex Taipei. The collaborations shown by Acer and its partners during Computex Taipei are just the start of much more to come for the world of IoT and the BYOC ecosystem, the Taiwanese PC vendor said. Acer's BYOC smart module and hardware are using Marvell's EZ-Connect Wi-Fi Microcontroller IoT platform. The module is built with a powerful Cortex-M3 microcontroller (88MC200) and a best-in-class 802.11n wireless radio (88W8801) that together provide a fully integrated hardware solution for IoT devices to connect to the Acer BYOC cloud. The software solution includes Marvell's EZ-Connect software SDK complemented with libraries that integrate BYOC services. The Marvell EZ-Connect platform-based smart-module along with Acer BYOC services and mobile apps create a comprehensive smart home ecosystem complete with monitoring, control, notification, and data collection functionalities. Acer is also collaborating with Canonical, the open source software provider behind Ubuntu, on a range of IoT and cloud projects. At Computex Taipei, visitors saw how the Acer Open Platform incorporates the Snappy Ubuntu Core by Canonical for a smart home surveillance solution. In a setup comprising of the aBeing One smart center built on the Snappy Ubuntu Core, Acer and Canonical demonstrated how an intruder in a smart home is monitored by the PIR (passive infrared) motion sensor, which signals the IP camera to record a short video of the incident and store it in the aBeing One. A message alert will then be sent to the homeowner's smartphone who can view the video instantly from the aBeing One and decide what actions to take.